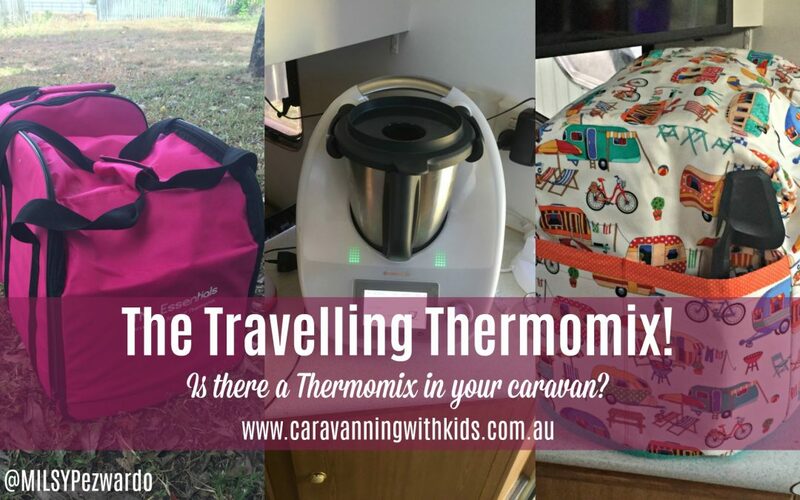 The Travelling Thermomix - Is there a thermomix in your caravan? The Travelling Thermomix! Is there a Thermie in your caravan? Andrew was super supportive about it coming in the caravan with us. These are 3 very big lies! Andrew was ‘weight obsessed’ when we were packing up. He weighed everything individually before it went into the caravan & had it formally weighed to get the TARE & loaded weights! We got one anyway AND it landed in our caravan! Do we actually use it? Yes! I am not the best cook & if it wasn’t for the thermy we would eat chicken/salad wraps 3 times a day. Since we left home we have had access to power for approx. 2/3 of the time – I use it at least once a day when we have access to power! Here are my tips on taking your Thermomix on the road with you! COOK BOOKS leave them at home! Use your chips & screen shot recipes from the Thermomix Recipe Community on your phone for when you have no internet. You simply search the recipe community for your favourite dinner and a thermomix friendly recipe should come up! I have added a few family favourites below! I left the thermo servers at home, I don’t miss them! I did however bring my rolling pin & silicone dough matt because I love baking!! 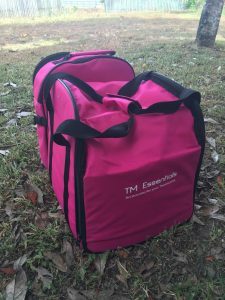 STORAGE – I use a ‘TM essentials’ heavy duty travel bag & put the Thermy in travel mode. 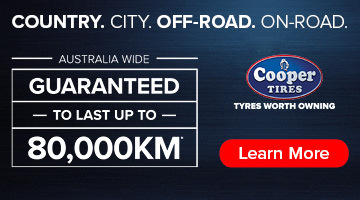 We got to Cape York & back with no worries! FRESH is definitely best! But when you are on the road in remote areas it can be surprisingly hard to get your hands on 8 sprigs of fresh parsley. I keep the following dried herbs/spices packed in a Sistema 7.9l tray container; sage, thyme, basil, parsley, chilli flakes, ginger, paprika & a big jar of minced garlic in the fridge. I also have sprinkles, vanilla essence, garlic granules & food colouring because I also LOVE baking, did I already mention that?! COVER – My dear friend Kathy made me a caravan gorgeous cover for when it is out on the bench! Keeps it free from red dust & filthy kid hands! Space in our tiny caravan fridge is at a premium! We have a Kings Fridge/Freezer that’s in freezer mode in the back of the troopy always! It is usually stocked with a bag of frozen peas/corn & carrots, frozen water bottles, bait, dead march flies, a few glad bags of premade pasta sauce AND Thermy vegetable stock cubes. Ideally I make up a batch when we have a powered site somewhere or alternatively if we are unpowered I just take over the camp kitchen for half an hour. Make up the concentrate as the chip says, but omit the salt (It will NOT freeze if you add it and yes I learnt that the hard way…) if you don’t have the exact veggies don’t stress, I just make sure all the veggies weigh up to about 850gms. 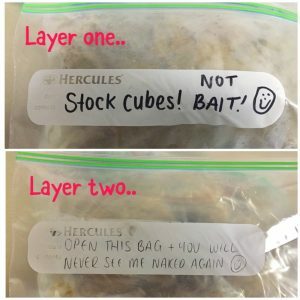 Spread the stock evenly in ice cube trays – bust out the cubes when they are frozen then use the 2 layer motivational packaging technique (see picture) to make sure they don’t end up floating around with pilchards in the bottom of the freezer. Roasted Pumpkin and Spinach Risotto – recipe community, this is a fantastic ‘base’ risotto recipe and you can easily substitute the pumpkin and spinach for other things like bacon, sweet potato etc. Fruit smoothies / sorbets – anything can go in these! Our deserts are currently all mango based – there are mangos EVERYWHERE in Ayr! Pumpkin Scones – I use a mix of about 3 recipes. The kids love these – I try to make them the night before big driving days as easy snack but they never last till the next day! Wiz pumpkin – 5 seconds, speed 5. Add sugar, butter & flour – 5 seconds, speed 8. Add remaining ingredients – 60 seconds, dough mode. 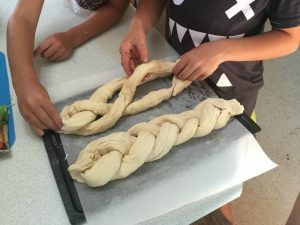 Use a well floured board (this is a sticky one) roll gently to about 2cm thick, cut into 12 squares and snuggle them together in a baking dish. Bake for approx 15 minutes! 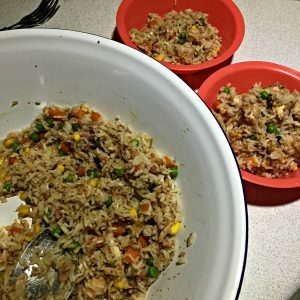 Let me know your go to kid friendly recipes! 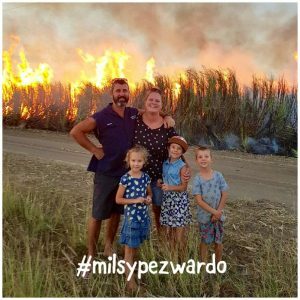 THANK YOU so much Millie for sharing a little bit about having a Thermomix on board. I went to my first demonstration recently and was very impressed with it’s functions…although we are a steak and vegie family, so maybe not for us….LOVE the Thermy cover!! 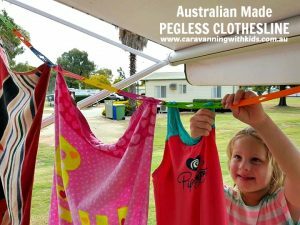 Have you seen our Australian made Pegless Clotheslines?? 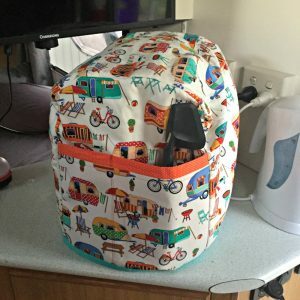 PERFECT for camping, caravanning, cruising, overseas travel, backpacking…even at home. ON SALE NOW!! Is your friend willing to share the pattern for the Thermi cover? Would be much appreciated? Thankyou for your info! We have been debating whether or not to take our thermomix but you have convinced us to! I substituted GF SR flour and almond milk and they worked a treat! Unfortunately I don’t have an oven in our caravan but I’ll certainly be taking my Thermomix on future caravanning holidays. Do you or any members know of someone who sells covers for the TM5? I absolutely love yours & think it’s a fabulous idea. Thanks very much for sharing your tips. I absolutely love your Thermomix cover! Do you or other readers know of anyone who sells TM covers? We bought a Thermomix in 2010 for the exact purpose of taking it on the road for our 3 month caravan holiday – with our then 4 and 5 year olds. It was the BEST decision we ever made. We also bought their travel bag so everything lived safely in the bag in the back of the car (and not bouncing around in the van while travelling)- nice and easy. We ate SO well and it was so easy to keep everyone happy – especially having sorbet at our finger tips! 8 years on and we always love taking it away with us!